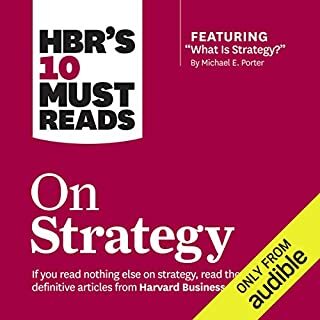 This audiobook was created based on Michael Porter's landmark book Competitive Strategy. 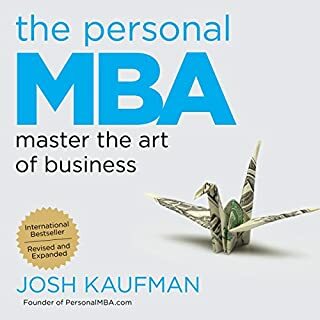 This was Mr. Porter's synopsis of his book for the Harvard Business Review. 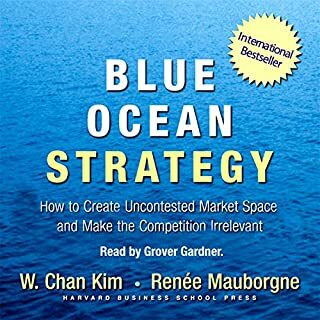 This audiobook emphasizes that operational effectiveness is not strategy, that strategy rests on unique activities done by the organization, strategic positioning, the entrepreneurial edge, generic and specific strategies, that sustainable strategic positions require trade offs, that proper fit drives both competitive advantage and sustainability, rediscovering focused strategies, the failure of blurred and straddled strategies, the growth trap, that profitable growth is often niche oriented, the role of leadership in creating and maintaining clear strategies, and that the new entrant and new company advantage is executing clear strategies. Sorry Mr Brown, your enthusiasm for your subject is not conveyed in your vocal delivery. Such a pity. The brilliance of the analysis deserves to be conveyed with passion and vibrancy, not in a nasal twang with a strange background echo. On second listening (I was hypnotised to sleep on the first), I found the content everything I had hoped. 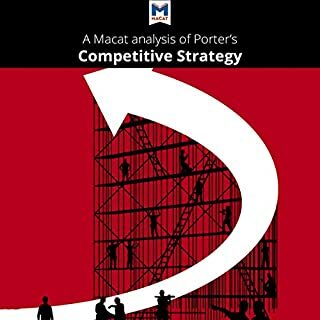 Porter challenges the modern shibolleths of process and continuous improvement in favour of radically strategic free-thinking. Listen and weep for the years of conventionality that creates "anti-competition". 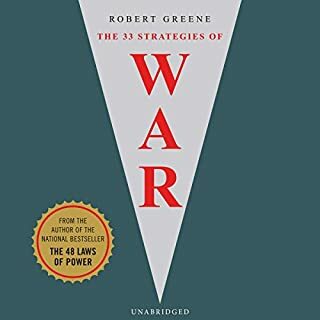 I cannot get enough of this very clear book. 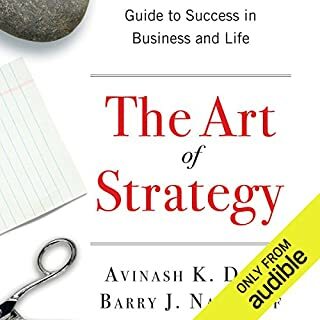 It has assisted me in all of my strategic thinking and planning for my company and beyond! 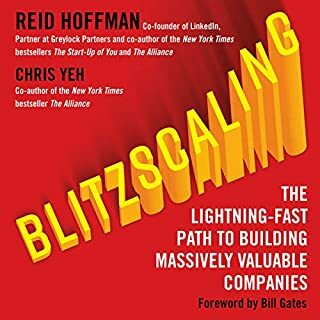 Do you think Competitive Strategy needs a follow-up book? Why or why not? 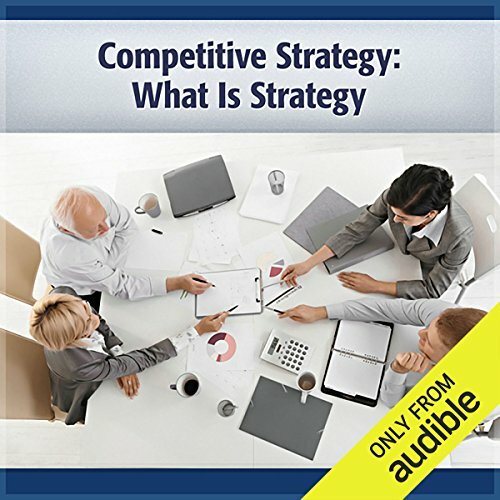 Would you consider the audio edition of Competitive Strategy to be better than the print version? Absolutely not. 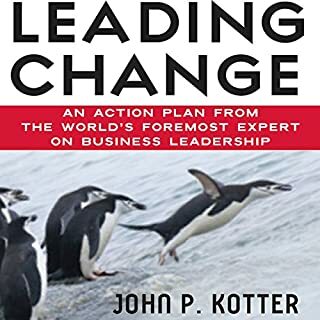 I have read the original article by Porter at the HBR magazine. I wanted to have the text in audio to listen to it again and reinforce concepts while driving. 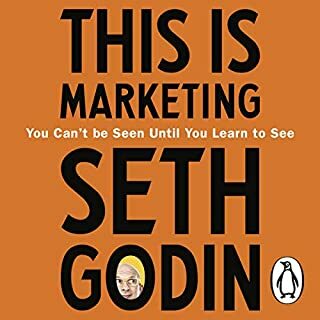 However, the reading is rather poor, the voice of the reader is monotonous, there is no sound editing, the noise of the cracking chair of the reader in the background distracts and, overall, the audio quality is not satisfying. What didn’t you like about Deaver Brown’s performance? The reading is disapassionate and rather poor, the voice of the reader is monotonous, there is no sound editing (e.g. a sound indicating a change of section), the noise of the cracking chair of the reader in the background speaks of sloppiness in the recording process and, overall, the audio quality is not satisfying as the driving normal sounds require high quality of the recording. No. The monotonous reading was a deterrant of this. Only the qaulity of the contents prevented me from not finishing the audiobook. 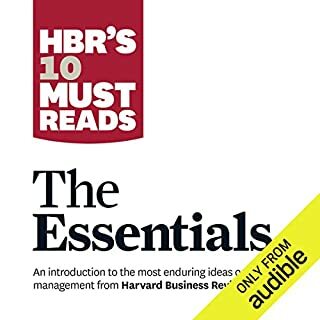 Michael Porter's work deserves much better audiobook quality!. 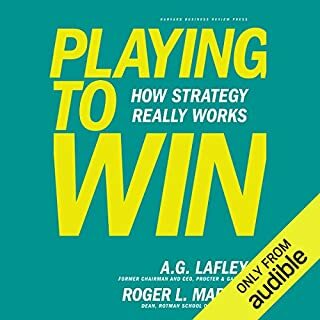 What disappointed you about Competitive Strategy? This article is very difficult to listen to. The audio quality is poor; there is echo and editing remarks throughout. The narrator is lifeless. This is a seminal work in academics and it should be better wrought. Who would you have cast as narrator instead of Deaver Brown? A woman woul dbe better suited to narrate the text. This is a seminal work in academics. Technology has certainly improved enough to make this technically more acceptable. 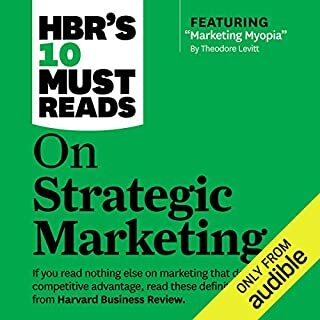 Where does Competitive Strategy rank among all the audiobooks you’ve listened to so far? 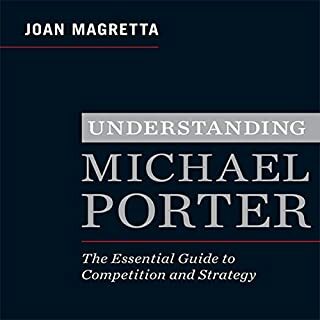 I'm a big fan of Michael Porter and this was a broad overview of his concepts. 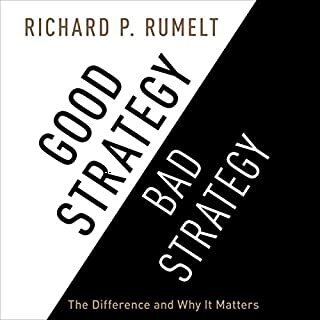 As far as business books, Competitive Strategy is a must-read (listen). Despite excellent content, I could not get over the fact that he continually pronounced "Ikea" as aye-a-KEY-a. Did the editor not understand how this should be pronounced? One time would be tolerable. Twenty mispronounciations was a distraction. The sound is also of low quality though this is more a production issue than the narrator. I would like to say it was an extremely positive reaction, which it may have been had the narrator not sounded like he was reading out loud in my bathroom, but the poor production and performance distracted from the content. I'll never see another Ikea store again without thinking of this book...based solely on the way the narrator pronounced it. So I guess that is a positive for Ikea. 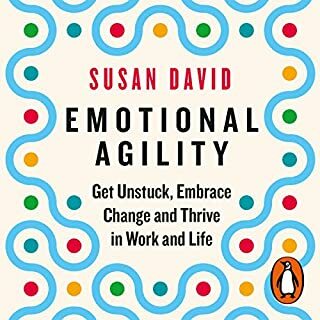 Despite the performance, I would recommend the book. 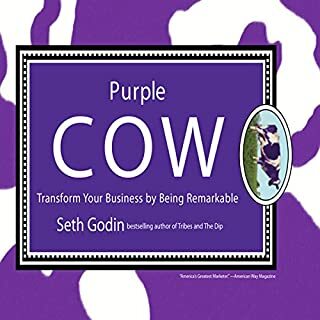 It's a short listen, and the content is excellent. Would you try another book from Michael Porter and/or Deaver Brown? I couldn't get over the pronunciation of Ikea. The recording sounded like it was done with an old-school tape recorder. Other than that, for $2 its good to hear a classic. I did not care for his performance on this one. No es el libro completo, sería fantástico que alarasen eso desde el principio, haría las cosas más fáciles. Aunque el capítulo es muy bueno. I really enjoy Michael Porter's writing style and brilliance. Listening to the narrator was more like sitting through a lecture than listening to the words professor Porter wrote. It was cheap and worth the price I paid. Good info. 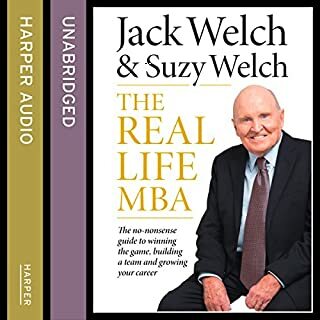 Okay audible version. I enjoyed the physical book more. 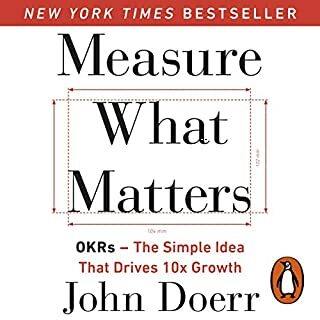 .expected depper insights..struggling to finish..... narration quality too is average. ..